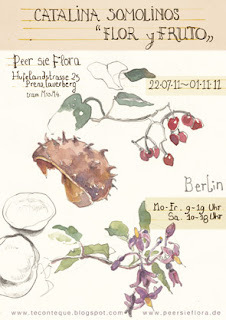 I am doing a watercolour exhibition on botanical themes. Tomorrow at 17 starts the Vernisagge, in Berlin, " Peer Sie Flora", Hufelandstrasse 25. If you are here you are wellcome!